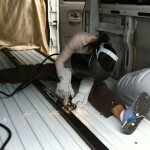 I’m still amazed when I hook something up to Gypsy’s electrical system and it works. I’m like, What? This works? This is freaking awesome!!! It’s like I keep forgetting how much time I spent researching, planning, and building. I should know that it works, and I should know why. But it still surprises me. 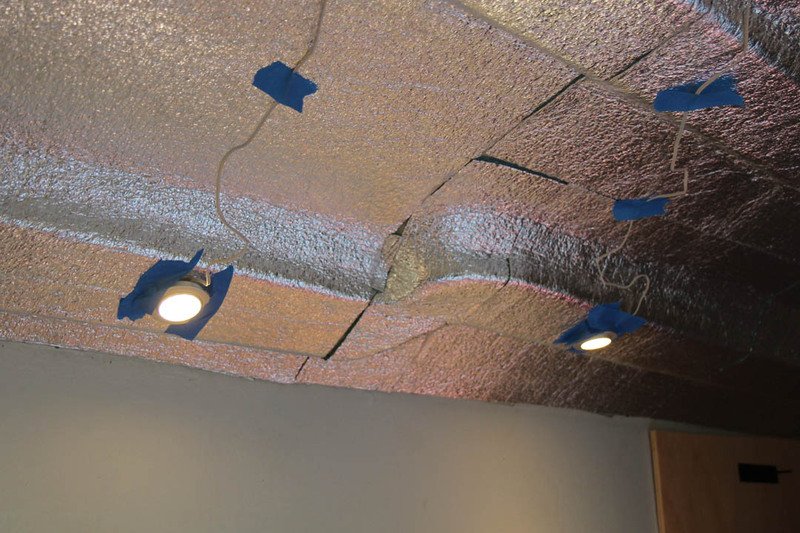 So I did a little happy dance after I finished wiring up the lights, flipped the switch, and they immediately turned on. Wish you could’ve seen it. No wait, I’m glad you didn’t. It probably looked ridiculous. Like I said in my last post, the lights are from Ikea, and they’re called Inreda. They came in a pack of four, which I split into two groups of two. Each group was wired to it’s own switch, so that I can have “kitchen” lights and “bedroom” lights. Snazzy, eh? It also means that if Gypsy’s batteries are running low, I can minimize energy consumption by only turning on two lights. 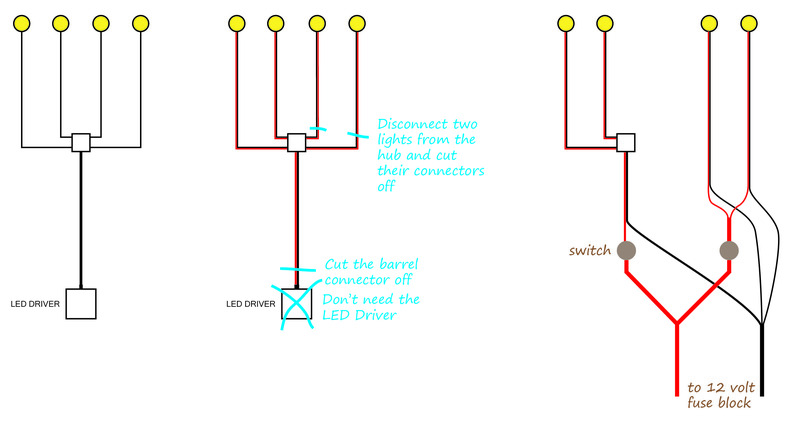 If you’re wondering exactly how I hacked the lights to make them work, here’s a diagram. 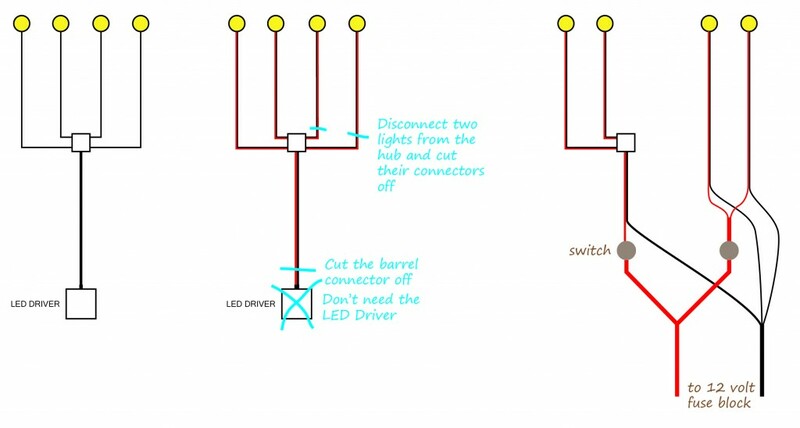 Note that both groups of lights, while they have their own switches, are on the same circuit coming off the 12 volt fuse block. 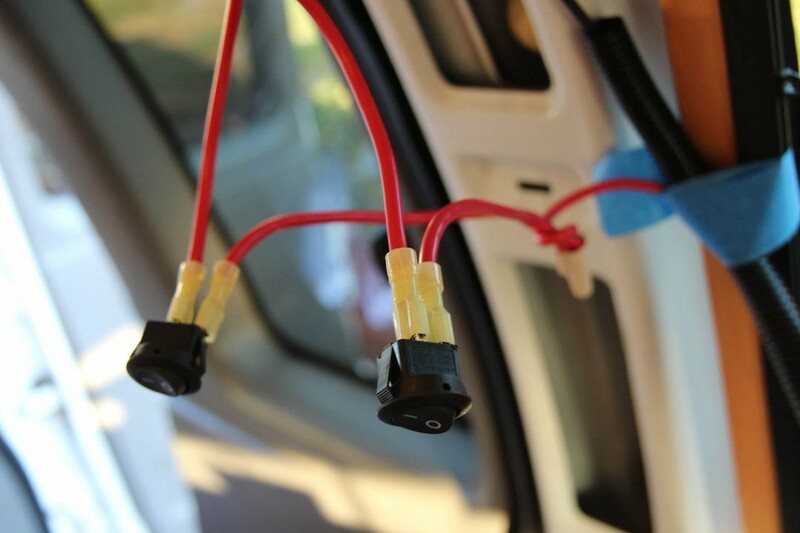 This was done to cut down on the number of wires running across the van. 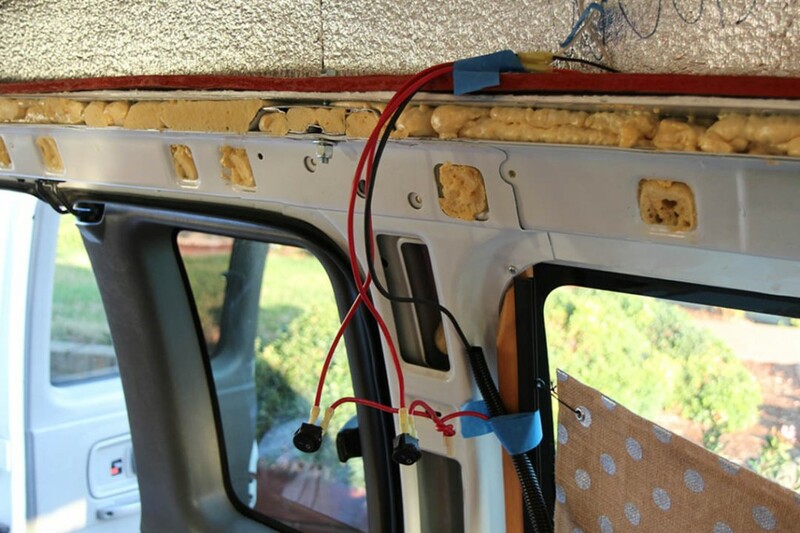 With that, Gypsy’s essential wiring is complete. I still have a few fun, non-essential whirligigs to wire up, but that’ll come later.